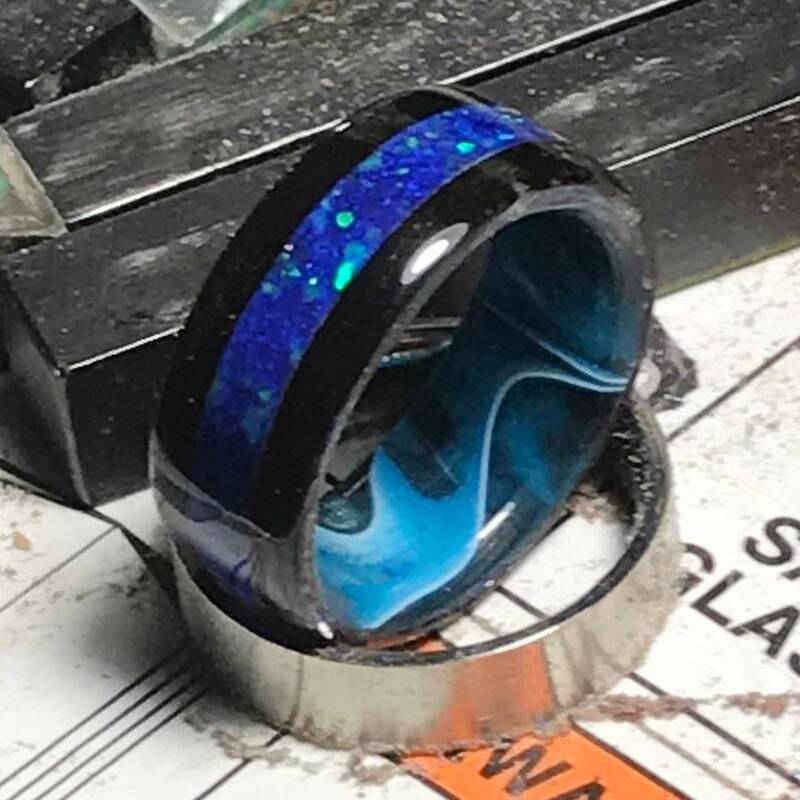 This beautiful African Blackwood Wood Ring, Pacific Sapphire Crushed Opals, Caribbean Swirl Acrylic Core is an absolute beauty. 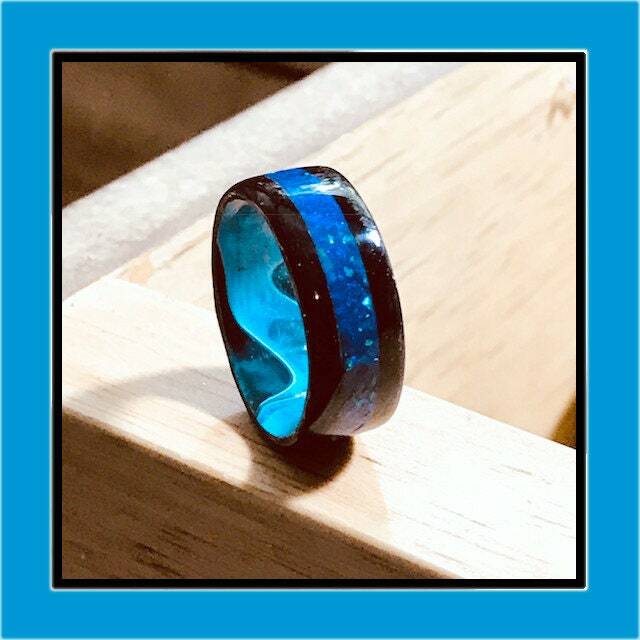 Each ring made from a solid wood piece in the bentwood fashion to your ring size using a jeweler's mandrill. The wood is then shaped and polished. 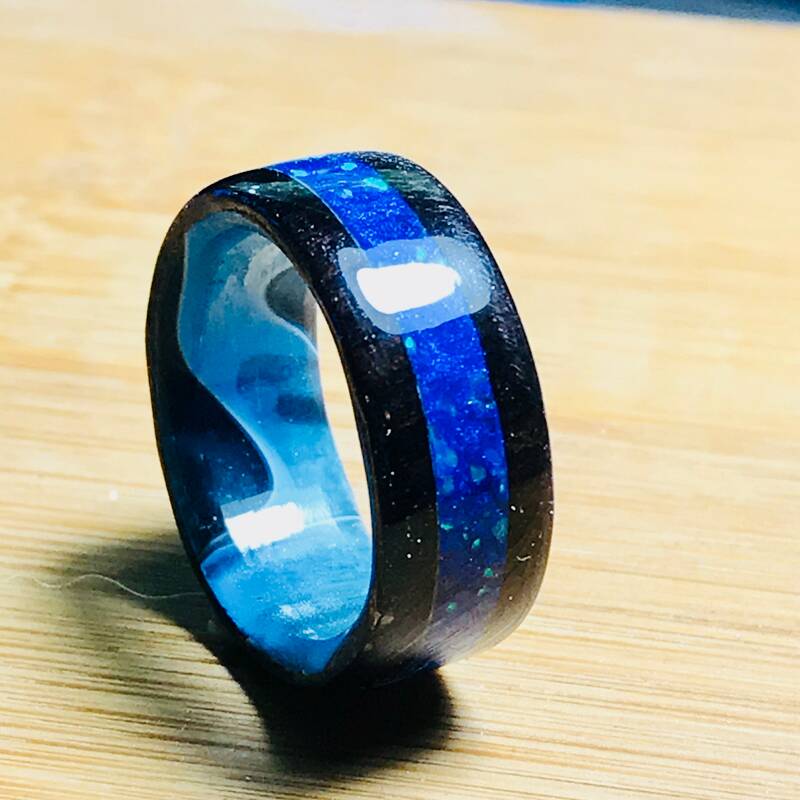 The wood is then encased in a strong acrylate, making a water resistant and scratch resistant and ready for daily wear!